Illustration of Medpore implant separated and packaged in box. Illustration of the severity of microtia. 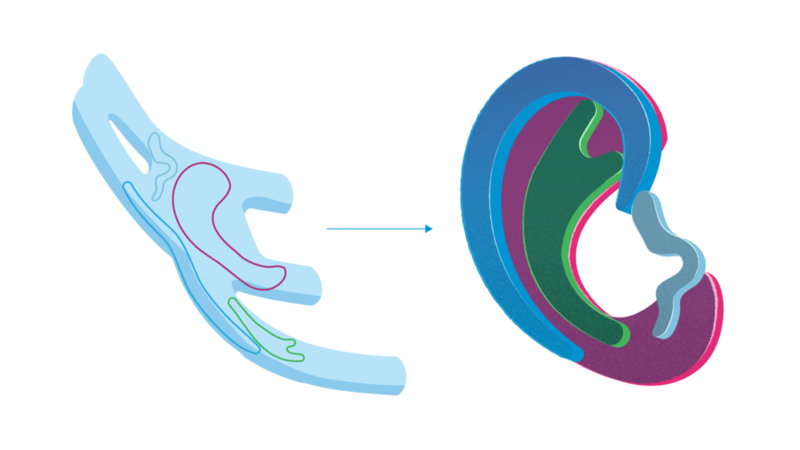 Illustration of costal cartilage reconstruction. Outline of cartilage cuts and final ear framework build.